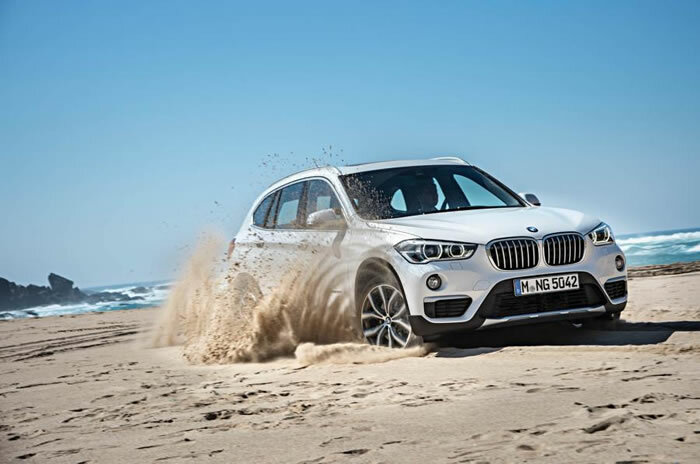 The second-generation BMW X1 has been revealed nearly four months before the all-new SUV is due to make its public debut at the Frankfurt motor show. Set to go on sale in the UK this autumn, the Audi Q3 rival has been comprehensively re-engineered and gets BMW’s versatile UKL platform, as used on the 2 Series Active Tourer and Gran Tourer. The longitudinal engine layout of the first-generation X1 is replaced by a space-saving transverse layout, which helps to provide more interior space and improved safety credentials. 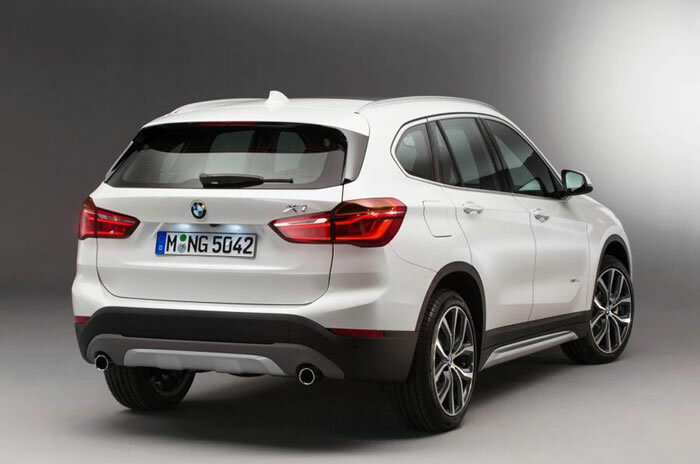 Lower-end models also have front-wheel drive instead of the rear-wheel drive of the outgoing X1. 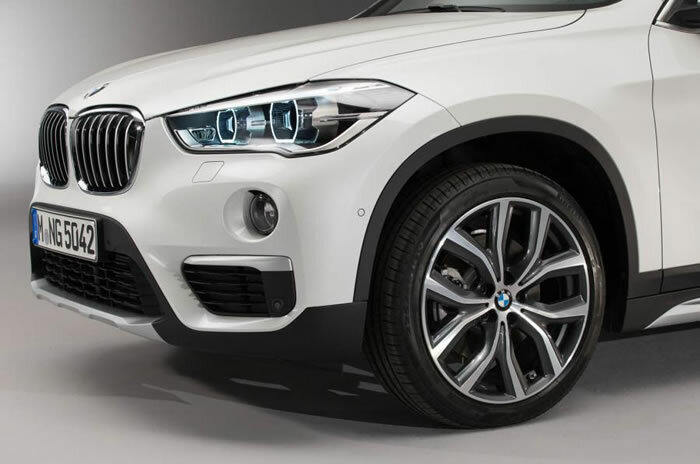 The new X1 takes on a more rugged appearance than that of the model it replaces. It has a bolder front end, angular headlights with LED daytime running lights, round foglights, a contoured bonnet, prominent front wheel arches, extra cladding on its sills and increased ground clearance. 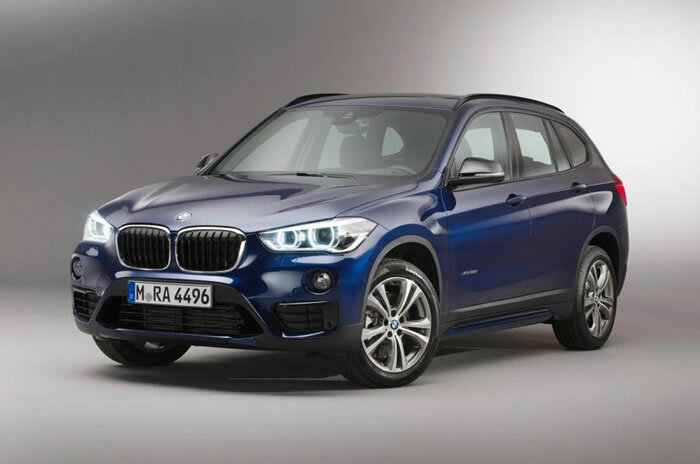 The adoption of the UKL platform has allowed BMW’s design team to endow the X1 with an altered silhouette featuring a significantly shorter bonnet and longer roofline than the old X1. Retaining the five-door layout of old X1, it also receives larger rear door apertures for added ease of entry. The revised X1 is 36mm shorter but 21mm wider and 53mm taller than its predecessor, at 4439mm long, 1821mm wide and 1598mm tall. A 90mm-longer wheelbase allows 37mm more knee room in the back, which increases by an additional 66mm with an optional tilting and sliding rear seat. Boot space has also increased by 85 litres to 505 litres, rising to 1550 litres with the rear seats folded. 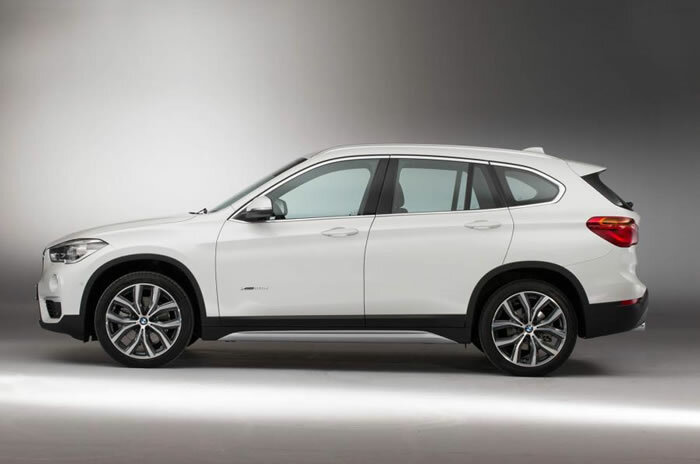 The new BMW SUV has a slightly revised seating layout to take advantage of the packaging improvements brought by the switch to a transverse engine layout. The front seats are now 36mm higher than on the first-generation model, while the rear seats are set 64mm higher. In entry-level sDrive18d guise, the X1 is 135kg lighter than its predecessor, at 1430kg. This is because of the use of more hot-formed high-strength steel and aluminium within the main body structure, the use of tailored blank steel for the front bulkhead and B-pillars and an aluminium bonnet. Underpinning the new BMW is a MacPherson strut front and multi-link rear suspension shared with the 2 Series Gran Tourer. It is allied to an electro-mechanical speed-sensitive Servotronic steering system that is engineered to provide lighter weighting at lower speeds for added manoeuvrability around town and a firmer feel at higher speeds for increased stability on the motorway. The new compact off-roader rolls on 17in alloy wheels as standard, with 18in and 19in rims available as an option. In a first for the X1, the new model comes with adjustable dampers in combination with an optional Driver Experience Control function that enables the driver to choose between Sport and Comfort suspension settings, along with Sport, Comfort and Eco Pro driving modes.